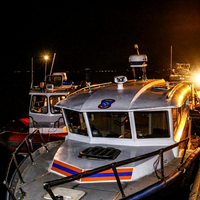 Trawler with 132 crew sinks in freezing waters; rescue operation seeks missing crew. 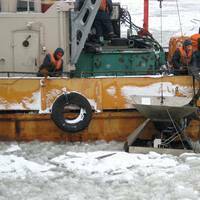 MOSCOW, April 2 (Reuters) - A Russian trawler sank in icy seas off Russia's far eastern Kamchatka peninsula on Thursday, killing at least 56 of the 132 crew, the emergencies ministry said on Thursday. Sixty-three people were rescued but 13 were still unaccounted for, hours after the Dalniy Vostok fishing vessel sank in the Sea of Okhotsk so quickly that its captain, who drowned, did not manage to send a distress signal. It was not immediately clear why the 26-year-old ship had sunk but a local official said the crew may have violated safety rules by overloading it, affecting its balance. Russia has a long history of road, air and sea disasters, many caused by negligence or violation of safety regulations. A reactor and a cold high-pressure separator is delivered to the site of Rosneft subsidiary Syzran Refinery for the constructed diesel hydro-treater. The unit is designed for the removal of sulphur and nitrogen compounds, as well as of other solids to improve diesel-fuel and to bring its environmental specifications to Euro-5 level. The weight of the reactor is 400 tons, the length is 36 m, and the diameter is 4.5 m. The weight of the cold high-pressure separator is 345.5 tons, the length is 26.5 m, and the diameter is about 4.5 m.
JSC Astrakhan Ship Repair Plant have built and delivered a new harbor hug to the Caspian Flotilla. 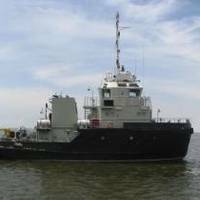 Project 705B harbor tug was deigned specially for the Caspian Sea and the estuary of the Volga River. The ship is equipped with up-to-date navigation aids GLONASS, communication and automation equipment. 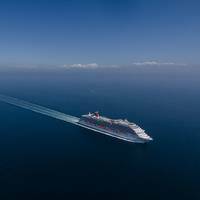 Basic features of the ship is high navigability and shallow draft (0.28 meters) making possible to navigate in shallow waters of the Volga River, the Volga-Caspian Canal, and northern zones of the Caspian Sea. Two 800-shp engines make the vessel capableof towing any ship in the Caspian Flotilla. Russia is an energy superpower and the country has vast and rich natural resources. Besides gas and coal reserves (some of the largest in the world), Russia today is ranked as the world’s biggest oil producing nation accounting for well over 12% of the global output. Moreover, the country exports more than 70% of its oil to the world markets. That said, Russia’s output of oil amounts to a third of what collectively the Organization of Petroleum Exporting Countries (OPEC) produces. The country has relied on oil production for decades, however there has been a notable geographical shift. 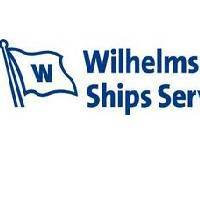 Wilhelmsen Ships Service has announced two key appointments in Russia as part of its ongoing programme of global expansion. Alexander Fomin has been appointed Account Manager West Russia and will be based in St.Petersburg, handling customer accounts in St.Petersburg, Moscow and the Volga River regions. Mr Fomin, who qualified at the Russian Far East Maritime Academy department of Engineering, steps up from his role as Port Sales Engineer for the company. His previous experience includes six years at sea as well as an appointment as technical manager for a shipping company. If there was a worldwide competition for the most immaculate engine room, it might very well be won by an engine room from the Netherlands. 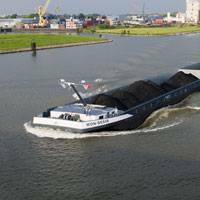 In fact it might even belong to Mr. and Mrs. Van der Stelt whose new vessel, Mon Desir, transports coal along the river system from the German Ruhrgebiet. The 443 ft long hull of the ship was built near the mouth of the Volga River in the JSC 3d International Shipyard in Astrakan Russia. The vessel was completed at the TeamCo Shipyard in Heuden the Netherlands.